Most people make a mistake when it comes to motivation. They think once they are motivated they will be ready to take action. But motivation does not work like that. It comes and it goes. It does not last long, just enough to give you a kickstart into action. But this does not mean that you don’t need motivation. It’s like taking a shower. You will still get dirty, but it’s nice to clean yourself. It’s nice to motivate yourself. This is why you need to make a daily habit of replenishing your motivation, or once every couple of days. 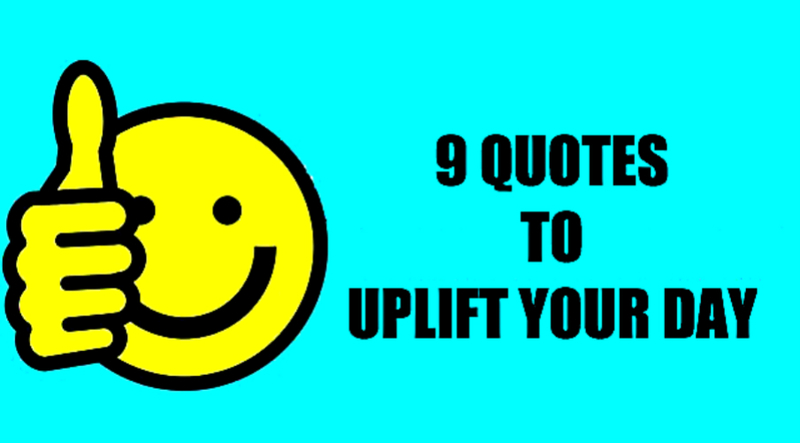 In this article we have chosen 9 of the most uplifting and motivating quotes we have found to uplift your day and motivate your heart into action.